The picture might not look very appetising (after all, I make them myself! ), but don't be fooled. 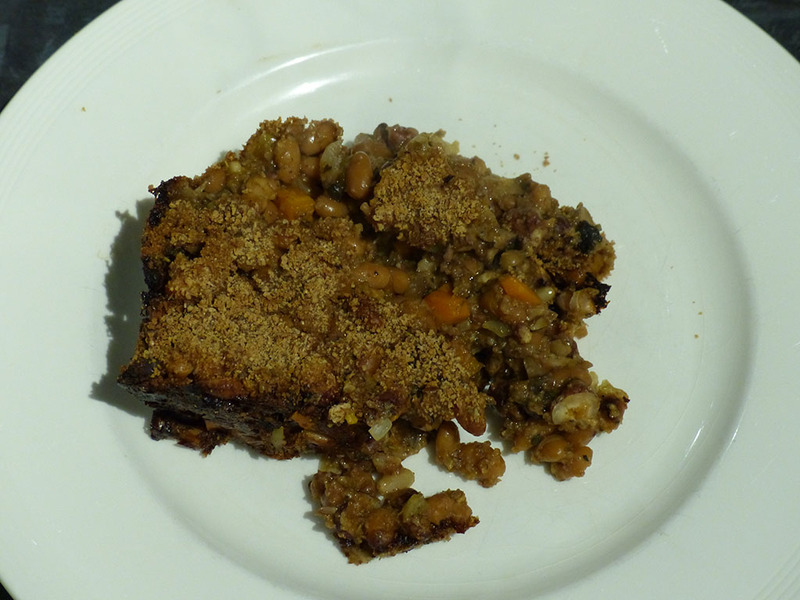 This nut roast is actually really tasty and vegan too! Roughly cut the carrot and boil until soft. Slice the leek and cut mushrooms into small cubes. Mix the vegetables in a bowl and add the beans, bread crumbs, chopped nuts and herbs. Grease a loaf tin with margarine and add the mixture. Bake in the oven (200C/Gas mark 6) for 40 to 50 minutes. (the only problem was that we didn't get it out of the tin properly, but other then it not looking very nice, it was really tasty and a dash of ketchup was good too!